Arri style M6 x 1 threaded camera rosette bolt-on disc assembly. Designed to be mounted to older style Preston Microforce controls. 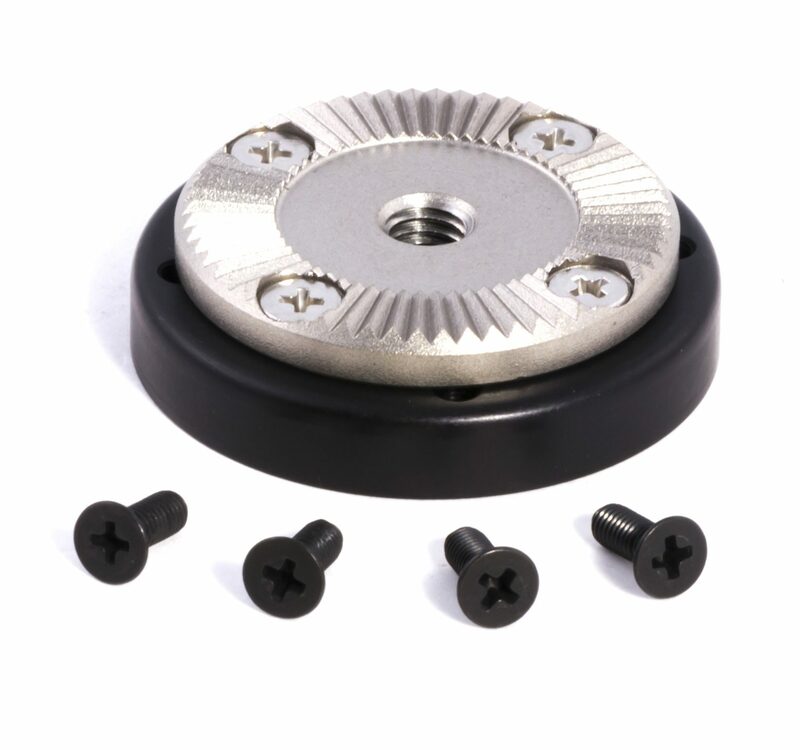 This rosette and mounting disc assembly can be used for other applications as well. Set includes camera rosette, mounting disc, M3 rosette and disc mounting fasteners, dimension and mounting diagram. Box dimensions: .35 x 1.8 in.